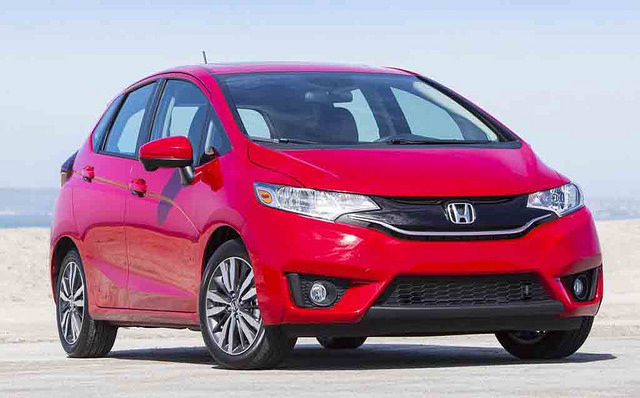 This highly appealing subcompact car claims top accolades as a leading new safety choice for 2016 from both the NHTSA and the IIHS. Even in the nerve-wrenching overlap frontal-crash testing for small cars, this model claims strong acceptance for safety on the road. Even for car buyers who choose the base trim model, the rearview mirror is a standard feature. Every Honda Fit comes with dual side curtain, front and front-side airbags for thorough driver and passenger protection in case of accidental impact. An added safety precaution for both the EX and the EX-L trim cars is the lane watching feature promoted by Honda. This option offers drivers convenient monitoring or their blind visual areas of the car’s right side via a camera with display visible in the dashboard touchscreen. The Fit’s updated transmission supports surprisingly fast acceleration for passing other vehicles on the highway or in busy city traffic. Even uphill driving is never a chore in this easy-to-operate hatchback.